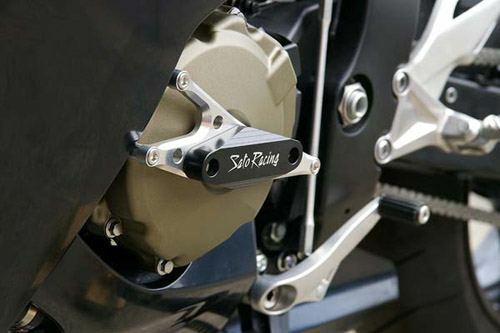 Protect your CBR 1000RR engine with these Sato Racing engine sliders. Billet aluminum precision CNC machined bases, with black delrin sliders attached for maximum protection. No fairing modifications required.